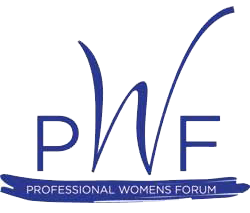 The name of this organization shall be Professional Women’s Forum, hereinafter referred to as “the Forum. 2) A support group to assist women in dealing with their special concerns. 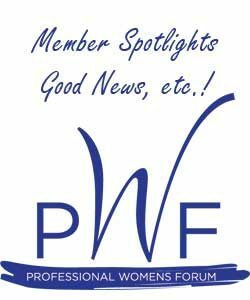 Membership in the Forum shall be open to individuals supporting the advancement of women. No provision of this article shall operate or change the status of any member who was a member of the Forum prior to the date on which these bylaws or amendments thereof were adopted. Dues are based on the membership status as of the regular October meeting. Annual dues shall be $85.00 per year. For members joining after April 1st, the dues shall be prorated. Dues for each fiscal year ending September 30th shall be payable October 1st, the first day of the fiscal year. Delinquent members will be dropped from the mailing list. Dues shall cover printing and mailing expenses, administrative, and other special projects. The officers of the Forum shall be a Chair, Immediate Past Chair, Chair-Elect, Secretary and Treasurer. Only members in good standing for at least the past six months shall be eligible for office. 1) A vacancy in the office of Chair shall be filled by the Chair-Elect. 2) A vacancy in the office of the Chair-Elect shall be filled by appointment by the remaining officers of the Forum. 3) If a vacancy occurs in both the office of the Chair and Chair-Elect, the Secretary shall call a special election for the purpose of electing a Chair to fill the unexpired term. 4) A vacancy in the office of a Secretary or Treasurer shall be filled by appointment by the Chair with the approval of the officers. Such appointed officers shall serve until their successors shall have qualified. Officers shall serve no more than two consecutive terms in the same office. An officer having two consecutive terms may serve again in the same office after the expiration of two years. 1) The Chair shall be responsible for chairing the regular monthly meetings of the membership and the Executive Committee. 2) The Chair-Elect shall be responsible for the technical program for each monthly membership meeting. 3) The Secretary shall be responsible for the records of the Forum. 4) The Treasurer shall be responsible for the financial records of the Forum, including preparation of the budget, periodic financial reports and tax returns. 5) A Business Coordinator may be hired by the Board and assigned supportive tasks by the Chair, including attendance at meetings of the Forum and the Board. The Executive Committee shall be composed of the officers of the Forum, plus the Immediate Past Chair. The administration of the affairs of the Forum shall be vested in the Executive Committee who shall be responsible for carrying out directives of the membership or as contained in these bylaws. The fiscal and administrative year of the Forum shall extend from October 1st through September 30th of the following year. The Nominating Committee shall consist of three members as follows: The Immediate Past Chair and two members appointed by the Executive Committee. The Chair shall designate one of the committee members as Nominations Chair. This committee shall prepare a list of nominees for officers, which shall be presented to the membership no later than the July meeting of the Forum. Annual election of officers shall be held at the regular September meeting of the Chapter. Other nominations may be made from the floor, provided consent of the member has been obtained. In the event names are added to the list prepared by the Nominating Committee, voting shall be conducted by ballot. If there are no nominations from the floor, the Chair shall declare the nominees duly elected. Newly elected officers shall be installed at the regular October meeting of each year and shall take office at the beginning of the administrative year. The Forum shall hold regular monthly meetings as set by the Executive Committee. A quorum shall consist of thirty (30) percent of the paid membership of the Forum. These bylaws may be amended at any regular meeting, or any special meeting duly called for this purpose, by a two-thirds vote of the members present. A notice of any proposed amendment shall be sent to each member at least thirty (30) days prior to the date of the business meeting.